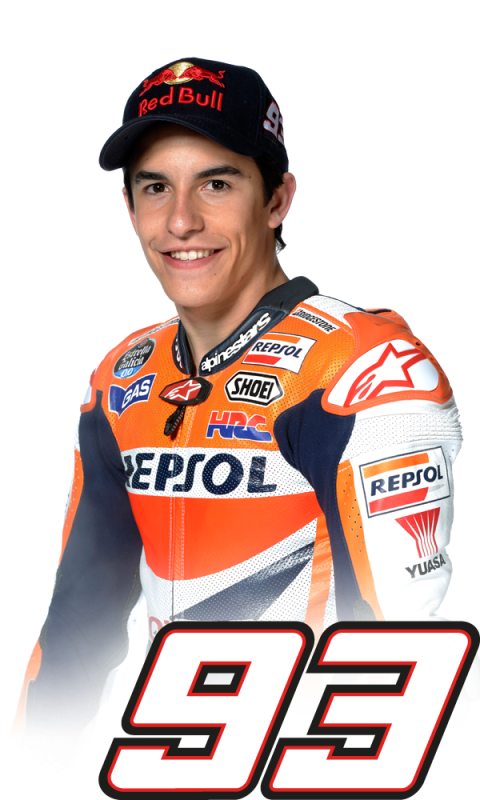 2013 World Champion, Marc Marquez, has started the defence of his title in the perfect way; with a victory in the first race of the season. 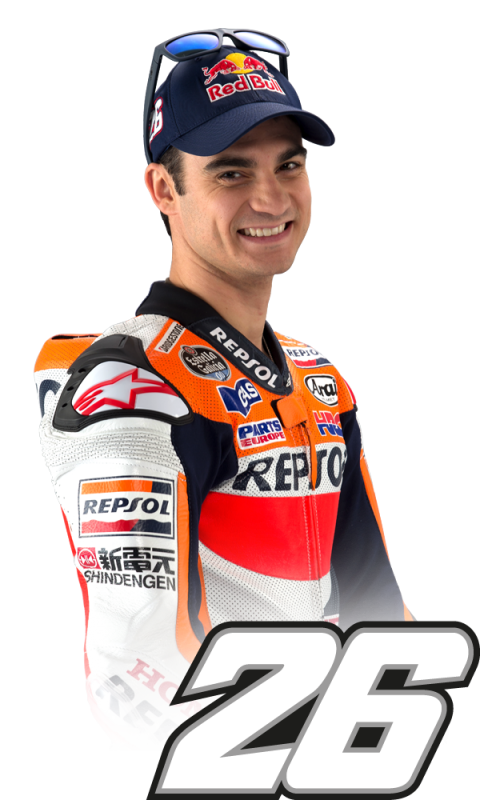 His teammate, Dani Pedrosa, completed a double podium for the Repsol Honda team with his 3rd place finish. It was a dramatic race with pole sitter Marc – the only rider to use the hard rear option tyre today – slipping back to 4th by the first turn and Dani, who started in 6th, dropping a spot to 7th. 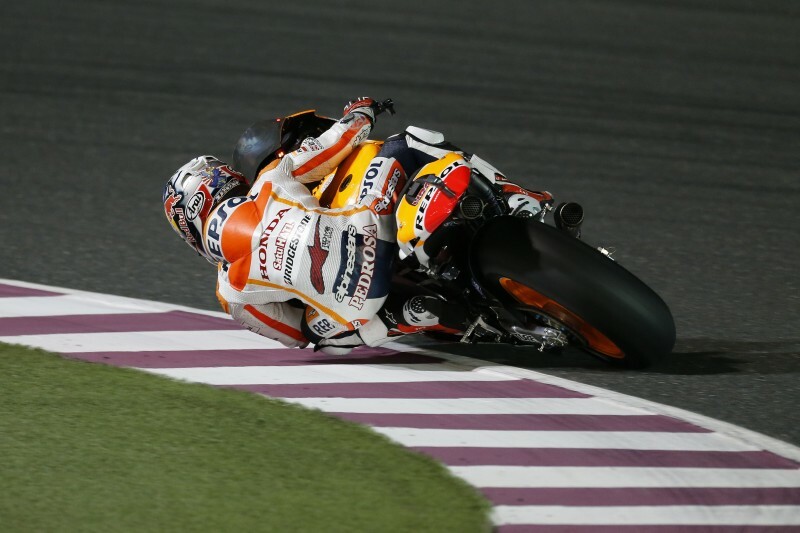 However, Marc started to settle in and made up a position before Jorge Lorenzo made an uncharacteristic mistake and crashed out, thus promoting the Repsol Honda duo a position each. Marc battled with Gresini Honda rider, Alvaro Bautista, for a few laps before passing him but then lost a position to Valentino Rossi. 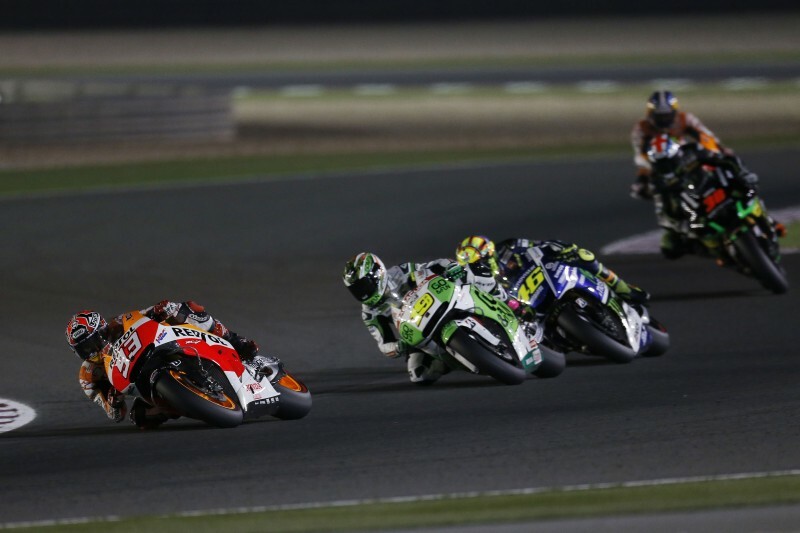 The two riders then began to chase down race leader, LCR Honda’s Stefan Bradl. Dani also began to make progress and when race leader Bradl crashed out on lap nine, both riders were once again promoted a position, into 2nd and 4th respectively. 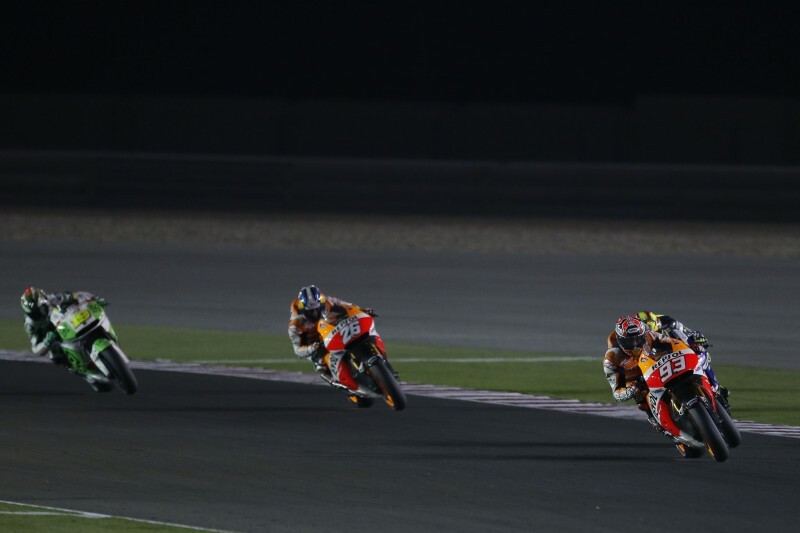 The following lap, Dani passed Bradley Smith to take 3rd and then went after Marc and race leader Valentino Rossi. 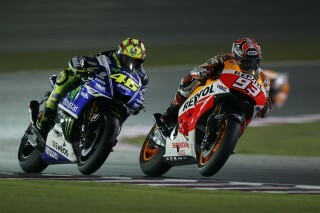 With some fantastic close racing, Marc finally made a move on Rossi on lap fourteen and led the race for the first time. Dani was still in a battle for 3rd with Bautista, with the two of them trading positions. 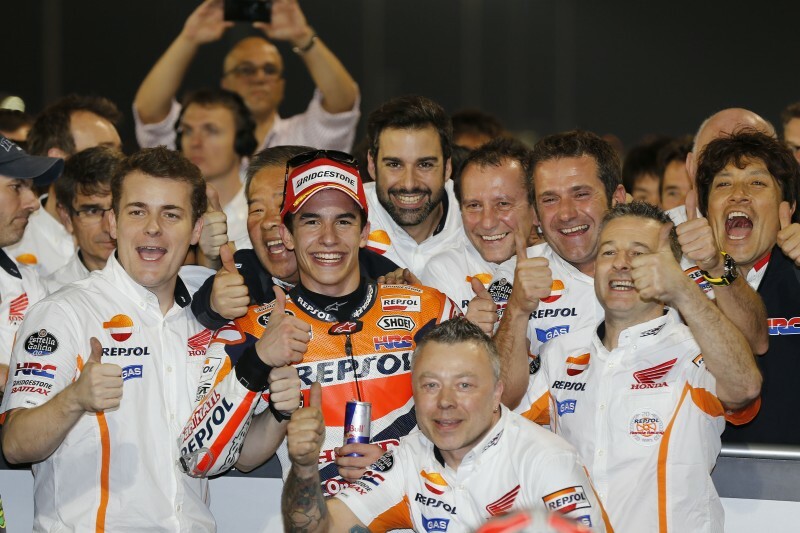 Then on lap twenty-one – the penultimate lap – Marc and Rossi began to push for the win, passing each other on four occasions, Marc finally came out on top to take the victory and his first win since Aragon last year. 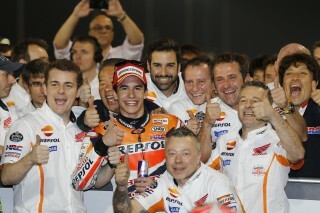 With Bautista crashing out, the battle was over for Dani who celebrated third, taking the final spot on the podium. 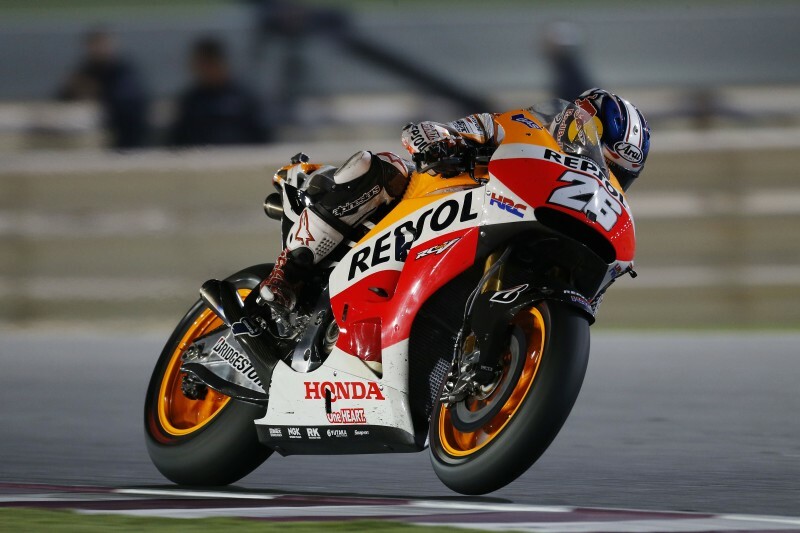 This first victory of the season marks Honda’s 250th in MotoGP, making them the first manufacturer to reach the milestone of 250 wins in the premier class of Grand Prix racing. "I'm very happy with the result today. The 25 points are important but it’s also been an important race, because I was coming back from an injury that caused me to miss most of the pre-season. Also, this weekend there were a lot of riders up at the front, all with a great pace, and seeing how the race went, this win is a big one. 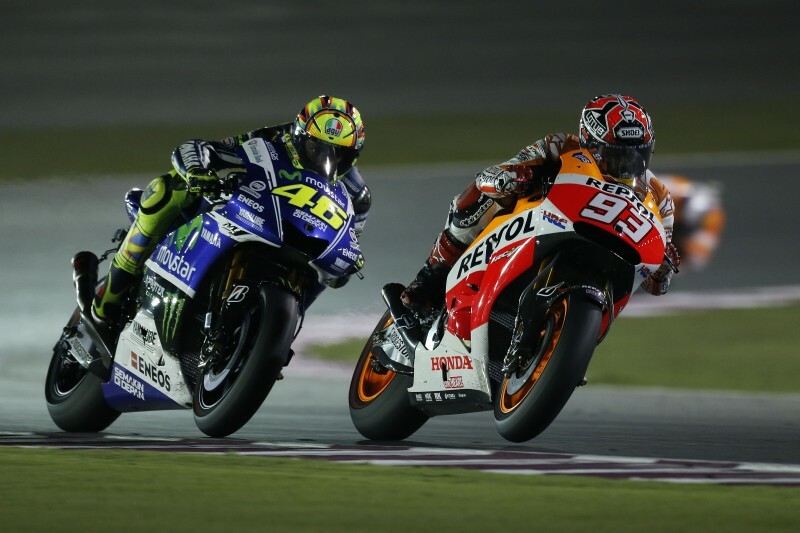 The battle with Valentino was the best part of the race besides the win, I really enjoyed it!" "Third place is a positive result. We've finished on the podium this weekend at a circuit that’s difficult for me, because it isn't well suited to my style. So it's a good way to start. 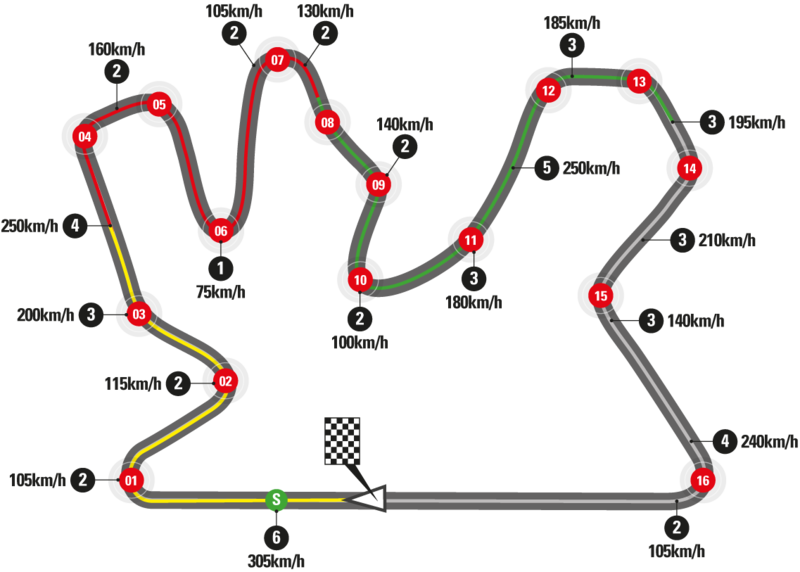 We were close, but with the way the race went - with so many crashes - it was important to finish. So from here on in we will try to keep improving and try to fight for the win at the next race!"